As a boy in the 1950s, I can remember my father, a World War II vet, becoming livid while insisting that our family not shop at a local grocery store. Its owners, he swore, had been "war profiteers" and he would never forgive them. He practically spat the phrase out. I have no idea whether it was true. All I know is that, for him, "war profiteer" was the worst of curses, the most horrifying of sins. In 1947, Arthur Miller wrote a wrenching play on the subject of war profiteering, All My Sons, based on a news story about a woman who turned her father in for selling faulty parts to the U.S. military during my father’s war. It was a hit and, in 1948, was made into a movie starring Edward G. Robinson. Now, skip 42 years. In September 1990, I wrote an op-ed for the New York Times with the title "Privatize the Pentagon," a distinctly tongue-in-cheek column suggesting that it was time for the U.S. to develop what I termed a "free-enterprise-oriented military." 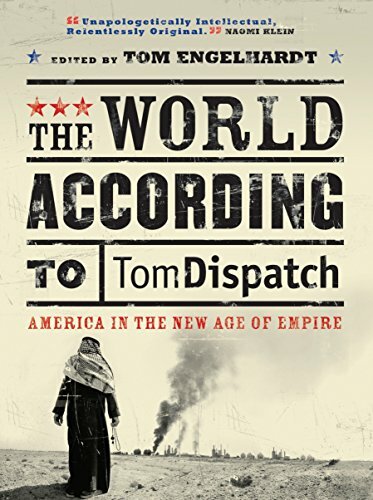 "Looking back," I wrote then, "isn’t it odd that unlike the environment, the post office, the poor, and Eastern Europe, the military has experienced no privatizing pressures?" No privatizing pressures? Little did I know. Today, if my dad were alive to fume about "war profiteers," people would have no idea why he was so worked up. Today, only a neocon could write a meaningful play with "war profiteering" as its theme, and my sarcastic column of 1990 now reads as if it were written in Klingon. Don’t blame my dad, Arthur Miller, or me if we couldn’t imagine a future in which for-profit war would be the norm in our American world, in which a "free-enterprise-oriented military" would turn out to be the functional definition of "the U.S. military," in which so many jobs from KP to mail delivery, guard duty to the training of foreign forces, have been outsourced to crony capitalist or rent-a-gun outfits like Halliburton, KBR, Xe Services (formerly Blackwater), and Dyncorp that think it’s just great to make a buck off war. As they see it, permanent war couldn’t be a dandier or more profitable way to organize our world. Oh, and Lockheed Martin has even helped train those friendly Transportation Security Administration agents who pat you down at the airport. Naturally, the company produces cluster bombs, designs nuclear weapons, and makes the F-35 Lightning (an overpriced, behind-schedule, underperforming combat aircraft that is slated to be bought by customers in more than a dozen countries)  and when it comes to weaponry, that’s just the start of a long list. In recent times, though, it’s moved beyond anything usually associated with a weapons corporation and has been virtually running its own foreign policy, doing everything from hiring interrogators for U.S. overseas prisons (including at Guantanamo Bay in Cuba and Abu Ghraib in Iraq) to managing a private intelligence network in Pakistan and helping write the Afghan constitution. If you want to feel a tad more intimidated, consider Lockheed Martin’s sheer size for a moment. After all, the company receives one of every 14 dollars doled out by the Pentagon. In fact, its government contracts, thought about another way, amount to a "Lockheed Martin tax" of $260 per taxpaying household in the United States, and no weapons contractor has more power or money to wield to defend its turf. It spent $12 million on congressional lobbying and campaign contributions in 2009 alone. Not surprisingly, it’s the top contributor to the incoming House Armed Services Committee chairman, Republican Howard P. "Buck" McKeon of California, giving more than $50,000 in the most recent election cycle. It also tops the list of donors to Sen. Daniel Inouye (D-HI), the powerful chair of the Senate Appropriations Committee, and the self-described "#1 earmarks guy in the U.S. Congress." Add to all that its 140,000 employees and its claim to have facilities in 46 states, and the scale of its clout starts to become clearer. While the bulk of its influence-peddling activities may be perfectly legal, the company also has quite a track record when it comes to law-breaking: it ranks number one on the "contractor misconduct" database maintained by the Project on Government Oversight, a Washington-DC-based watchdog group. How in the world did Lockheed Martin become more than just a military contractor? Its first significant foray outside the world of weaponry came in the early 1990s when plain old Lockheed (not yet merged with Martin Marietta) bought Datacom Inc., a company specializing in providing services for state and city governments, and turned it into the foundation for a new business unit called Lockheed Information Management Services (IMS). In turn, IMS managed to win contracts in 44 states and several foreign countries for tasks ranging from collecting parking fines and tolls to tracking down "deadbeat dads" and running "welfare to work" job-training programs. The result was a number of high-profile failures, but hey, you can’t do everything right, can you? Under pressure from Wall Street to concentrate on its core business  implements of destruction  Lockheed Martin sold IMS in 2001. By then, however, it had developed a taste for non-weapons work, especially when it came to data collection and processing. So it turned to the federal government where it promptly racked up deals with the IRS, the Census Bureau, and the U.S. Postal Service, among other agencies. Want to stand up and be counted by the U.S. Census? Lockheed Martin will take care of it. The company runs three centers  in Baltimore, Phoenix, and Jeffersonville, Indiana  that processed up to 18 tractor-trailers full of mail per day at the height of the 2010 Census count. For $500 million it is developing the Decennial Response Information Service (DRIS), which will collect and analyze information gathered from any source, from phone calls or the Internet to personal visits. According to Preston Waite, associate director of the Census, the DRIS will be a "big catch net, catching all the data that comes in no matter where it comes from." Need to get a package across the country? Lockheed Martin cameras will scan bar codes and recognize addresses, so your package can be sorted "without human intervention," as the company’s web site puts it. Plan on committing a crime? Think twice. Lockheed Martin is in charge of the FBI’s Integrated Automatic Fingerprint Identification System (IAFIS), a database of 55 million sets of fingerprints. The company also produces biometric identification devices that will know who you are by scanning your iris, recognizing your face, or coming up with novel ways of collecting your fingerprints or DNA. As the company likes to say, it’s in the business of making everyone’s lives (and so personal data) an "open book," which is, of course, of great benefit to us all. "Thanks to biometric technology," the company proclaims, "people don’t have to worry about forgetting a password or bringing multiple forms of identification. Things just got a little easier." Are you a New York City resident concerned about a "suspicious package" finding its way onto the subway platform? Lockheed Martin tried to do something about that, too, thanks to a contract from the city’s Metropolitan Transportation Authority (MTA) to install 3,000 security cameras and motion sensors that would spot such packages, as well as the people carrying them, and notify the authorities. Only problem: the cameras didn’t work as advertised and the MTA axed Lockheed Martin and cancelled the $212 million contract. 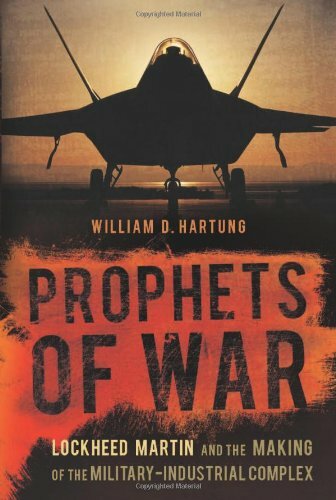 Tim Shorrock, author of the seminal book Spies for Hire, has described Lockheed Martin as "the largest defense contractor and private intelligence force in the world." As far back as 2002, the company plunged into the "Total Information Awareness" (TIA) program that was former National Security Advisor Admiral John Poindexter’s pet project. A giant database to collect telephone numbers, credit cards, and reams of other personal data from U.S. citizens in the name of fighting terrorism, the program was de-funded by Congress the following year, but concerns remain that the National Security Agency is now running a similar secret program. 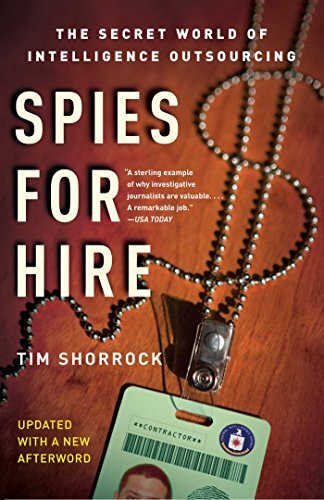 Spies for Hire: The Se... Tim Shorrock Check Amazon for Pricing. Lockheed Martin is also intimately bound up in the workings of the National Security Agency, America’s largest spy outfit. In addition to producing spy satellites for the NSA, the company is in charge of "Project Groundbreaker," a $5 billion, 10-year effort to upgrade the agency’s internal telephone and computer networks. While Lockheed Martin may well be watching you at home  it’s my personal nominee for twenty-first-century "Big Brother"  it has also been involved in questionable activities abroad that go well beyond supplying weapons to regions in conflict. There were, of course, those interrogators it recruited for America’s offshore prison system from Guantanamo Bay to Afghanistan (and the charges of abuses that so naturally went with them), but the real scandal the company has been embroiled in involves overseeing an assassination program in Pakistan. Initially, it was billed as an information gathering operation using private companies to generate data the CIA and other U.S. intelligence agencies allegedly could not get on their own. Instead, the companies turned out to be supplying targeting information used by U.S. Army Special Forces troops to locate and kill suspected Taliban leaders. The private firms involved were managed by Lockheed Martin under a $22 million contract from the U.S. Army. As Mark Mazetti of the New York Times has reported, there were just two small problems with the effort: "The American military is largely prohibited from operating in Pakistan. And under Pentagon rules, the army is not allowed to hire contractors for spying." 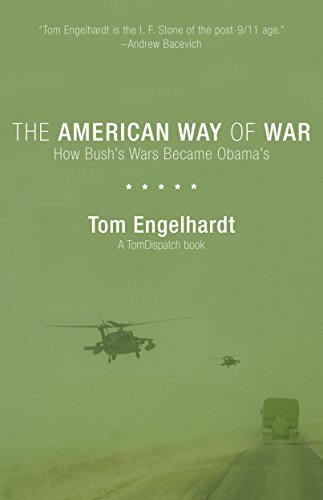 Much as in the Iran/Contra scandal of the 1980s, when Oliver North set up a network of shell companies to evade the laws against arming right-wing paramilitaries in Nicaragua, the Army used Lockheed Martin to do an end run around rules limiting U.S. military and intelligence activities in Pakistan. It should not, then, be too surprising that one of the people involved in the Lockheed-Martin-managed network was Duane "Dewey" Claridge, an ex-CIA man who had once been knee deep in the Iran/Contra affair. However, the "soft power" side of Lockheed Martin’s operations (as described on its web site) may soon diminish substantially as the company has put PAE up for sale. Still, the revenues garnered from these activities will undoubtedly be more than offset by a new $5 billion, multi-year contract awarded by the U.S. Army to provide logistics support for U.S. Special Forces in dozens of countries. Consider all this but a Lockheed Martin précis. A full accounting of its "shadow government" would fill volumes. After all, it’s the number-one contractor not only for the Pentagon, but also for the Department of Energy. It ranks number two for the Department of State, number three for the National Aeronautics and Space Administration, and number four for the Departments of Justice and Housing and Urban Development. Even listing the government and quasi-governmental agencies the company has contracts with is a daunting task, but here’s just a partial run-down: the Department of Agriculture, the Bureau of Land Management, the Census Bureau, the Coast Guard, the Department of Defense (including the Army, the Navy, the Marines, the Air Force and the Missile Defense Agency), the Department of Education, the Department of Energy, the Environmental Protection Agency, the Federal Aviation Administration, the Federal Bureau of Investigation, the Federal Technology Department, the Food and Drug Administration, the General Services Administration, the Geological Survey, the Department of Homeland Security, the Bureau of Indian Affairs, the Internal Revenue Service, the National Aeronautics and Space Administration, the National Institutes of Health, the Department of State, the Social Security Administration, the U.S. Customs Service, the U.S. Postal Service, the Department of Transportation, the Transportation Security Agency, and the Department of Veterans Affairs. When President Eisenhower warned 50 years ago this month of the dangers of "unwarranted influence, whether sought or unsought, by the military-industrial complex," he could never have dreamed that one for-profit weapons outfit would so fully insinuate itself into so many aspects of American life. Lockheed Martin has helped turn Eisenhower’s dismal mid-twentieth-century vision into a for-profit military-industrial-surveillance complex fit for the twenty-first century, one in which no governmental activity is now beyond its reach. Are You on Any of These Drugs?